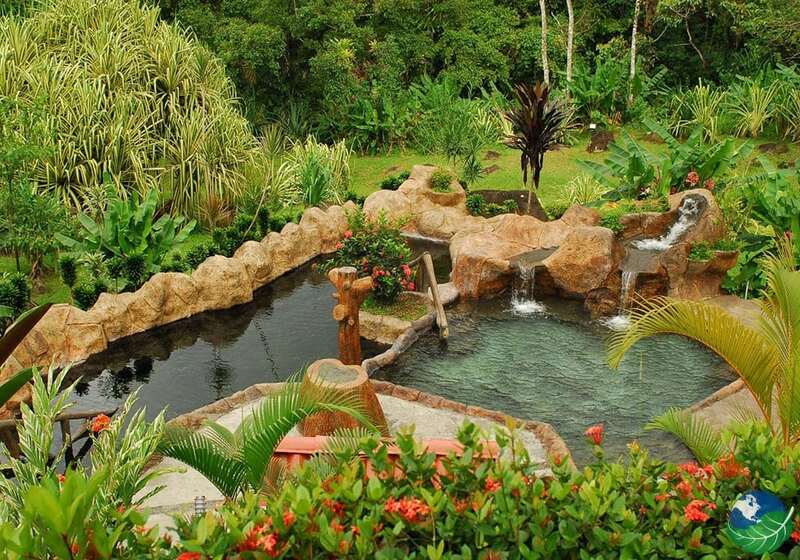 Located near the Arenal Volcano in Costa Rica, Los Lagos Resort was built in 2000 and renovated in 2004. The hotel offers a main building and an annex with 92 rooms. Three of which are singles and the rest double. The cabins have access to the tropical forest through various paths found on the site. There is also a volcanic forest and a lava river in proximity to the hotel. This hot springs hotel features spacious natural areas and lush tropical gardens. Offering visitors clean and comfortable accommodations for their stay. If you are looking for paradise during your Costa Rica vacation, then Los Lagos Hotel Spa & Resort is the perfect place for you. Los Lagos Hotel is a hot springs hotel. In fact, having the largest natural outdoor area among all the hotels in the zone. 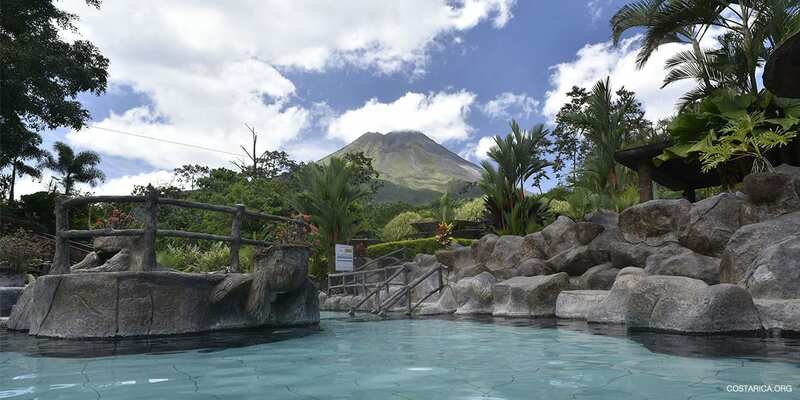 The resort is situated very close to Arenal Volcano. Allowing you to have an up-close and personal experience of the volcano. In proximity to the hotel, lies a volcanic forest for you to explore and five different natural thermal pools within the hotel ground. 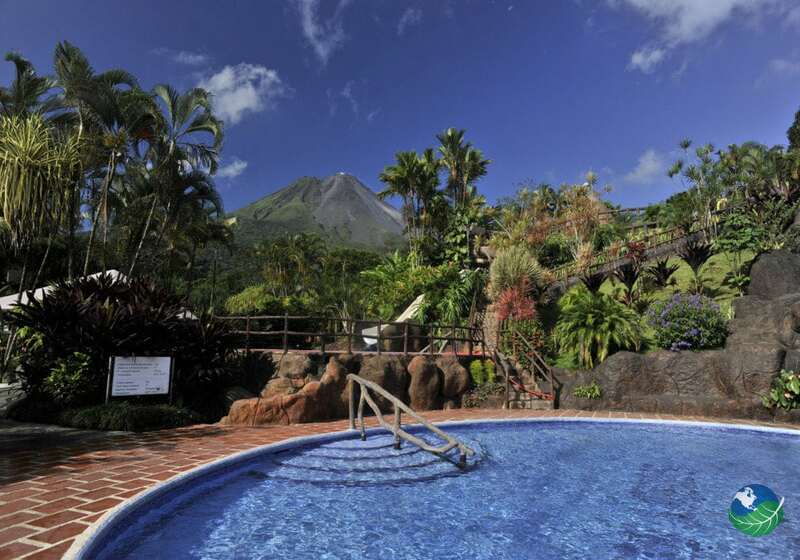 There you can relax and enjoy the spectacular views of Arenal Volcano. The tastefully furnished rooms include air-conditioning, satellite TV, private bathroom, hot water, refrigerator and a small terrace. Tastefully furnished cabins can accommodate up to for four people. Complete with a fridge, gas stove, television, telephone, and fan. 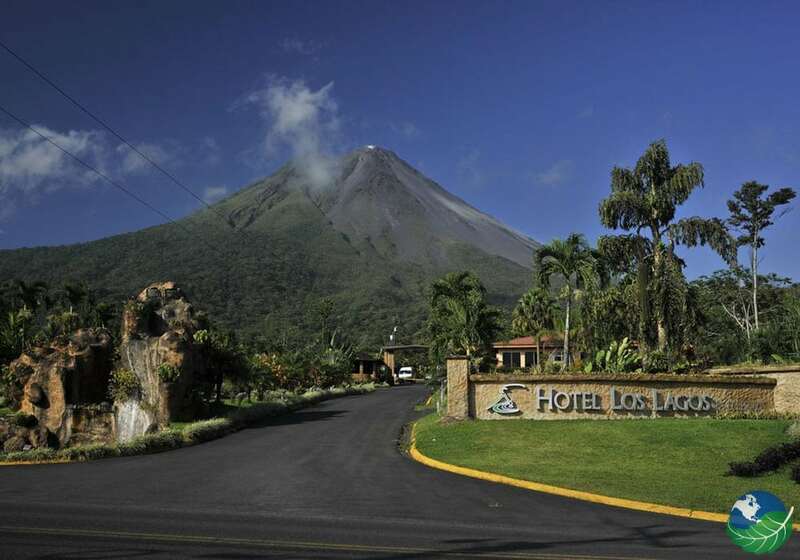 Hotel Los Lagos offers a broad range of services and facilities for the enjoyment of the volcano. Guests love the spectacular view found here – just about as close as you can get to the volcano but at a safe distance. You can immerse yourself in the culture, the people and cuisine, as well as the tropical rain forest flora & fauna of Costa Rica, all in one place at Los Lagos Resort! 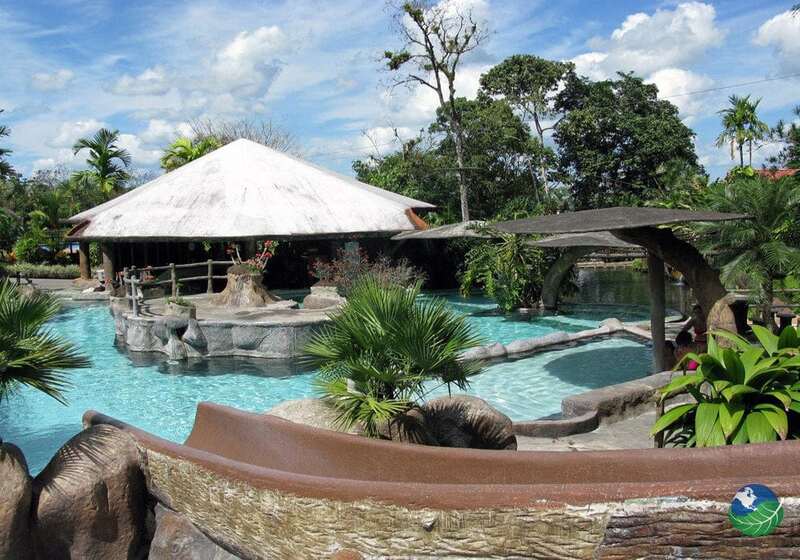 Los Lagos Resort features a private crocodile and caiman farm. As well as lakes where you can practice your fishing skills. Located on 1050 acres of tropical forest and wide-open countryside – here you’ll enjoy clear, safe and spectacular views of the Arenal Volcano. This exclusive resort features its 17 platform Canopy Tour and Horseback Riding Tours, and a spectacular observation point on the property. At this resort, you’ll find five different pools with thermal waters from the hot springs, and regular water pools available. You’ll find plenty of places to relax and unwind at the pool and hot springs and other hotel facilities. Take in the sun by the pool surrounded by lush tropical gardens or pamper yourself at the Hotel’s onsite Spa. While offering access to all of Arenal Volcanos tours and activities, Los Lagos also provides a variety of different experiences for your vacation. The resort features its private crocodile and caiman farm and lakes. Here you can enjoy a fishing trip or a relaxing boat ride. This fantastic resort also offers its exciting Canopy Tour and Horseback Riding tours along the Arenal Volcano and tropical rainforest. Snap some memorable pictures of the resorts own observation point allowing you to get the best views. Take part in a guided hike up Arenal. Also, learn about the history and ecosystems of Arenal Volcano from a professional and experienced guide. With any question or concern you may have, Los Lagos’ helpful and friendly staff will be happy to help you in any way. Los Lagos Resort also has a lobby and a reception desk. Open 24-hours, a safe, a currency exchange desk and a lift. Hotel Los Lagos Spa & Resort also provides a souvenir shop, a bar, a restaurant (smoking is not permitted), an Internet terminal and bicycles for rent. Room and laundry services are available as well as parking zones. There is a playground area for younger guests so they can enjoy themselves. The hotel is famous for its spacious tropical gardens. Additionally, the hotel offers a swimming pool with slides, picnic area, and camping sites. 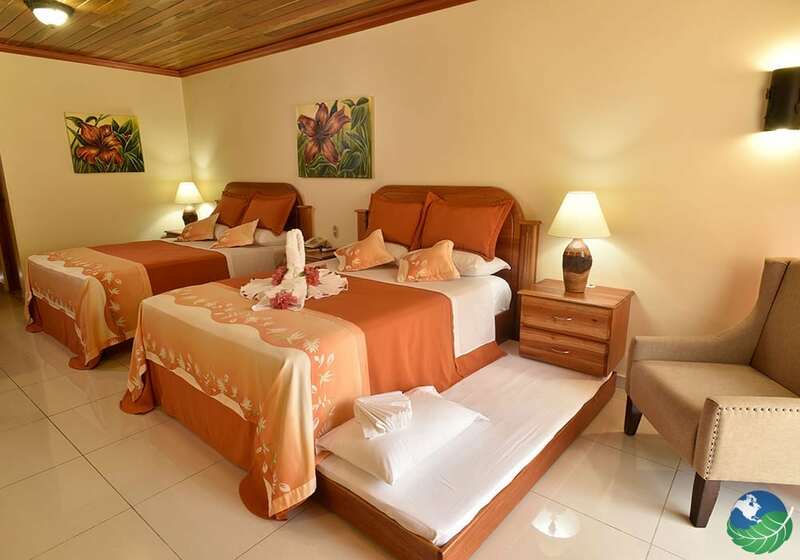 Each of the Costa Rican inspired, and tastefully designed rooms give you all the benefits and features you will need. You will have a satisfying stay at Los Lagos Resort. Each room includes air-conditioning, satellite TV, your private bathroom with hot water, a mini fridge and a small private terrace to enjoy the natural beauty around you.